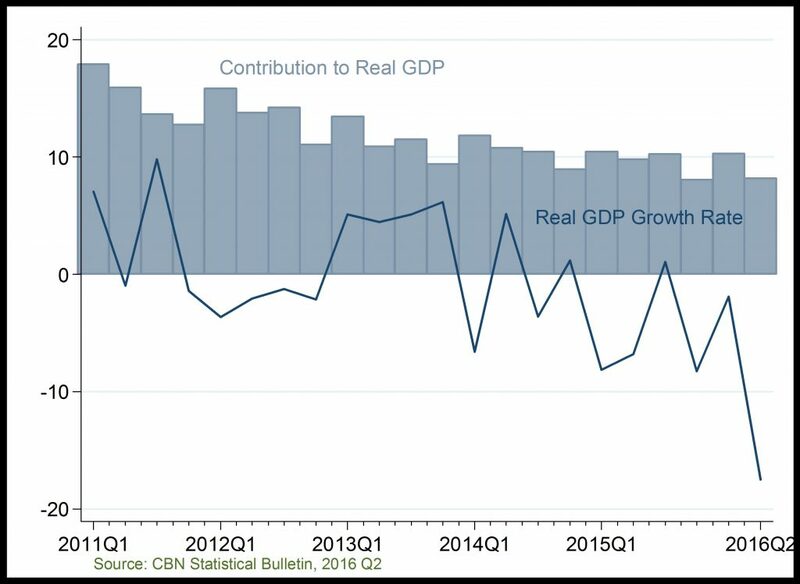 Gross Domestic Product Growth Rate: The growth performance of the Oil and Gas sector has been unsteady throughout years and declined most significantly in 2015Q4, following a positive growth recorded in 2015Q3. The poor growth performance could be attributed to the negative exogenous shocks being experienced by most oil exporters. 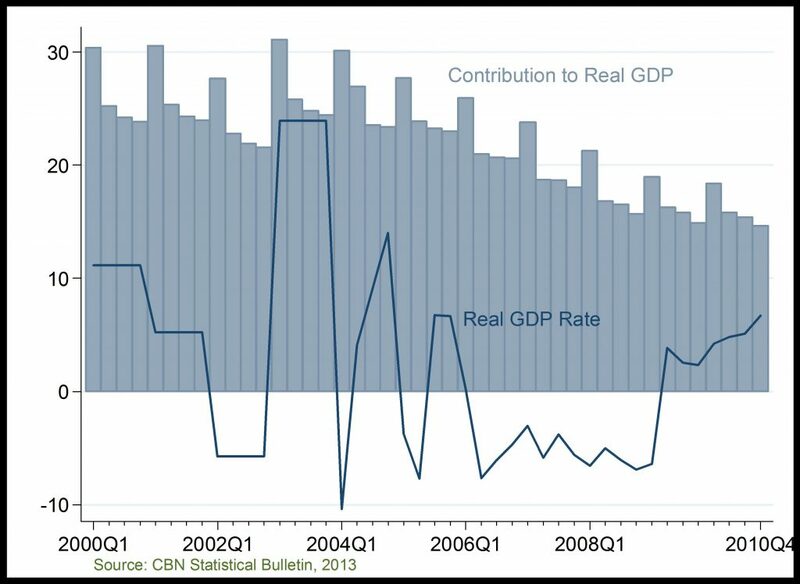 Contribution to GDP: The sectors contribution to overall GDP has steadily declined since 2004 reflecting the low level of composite value addition to the Nigerian economy.